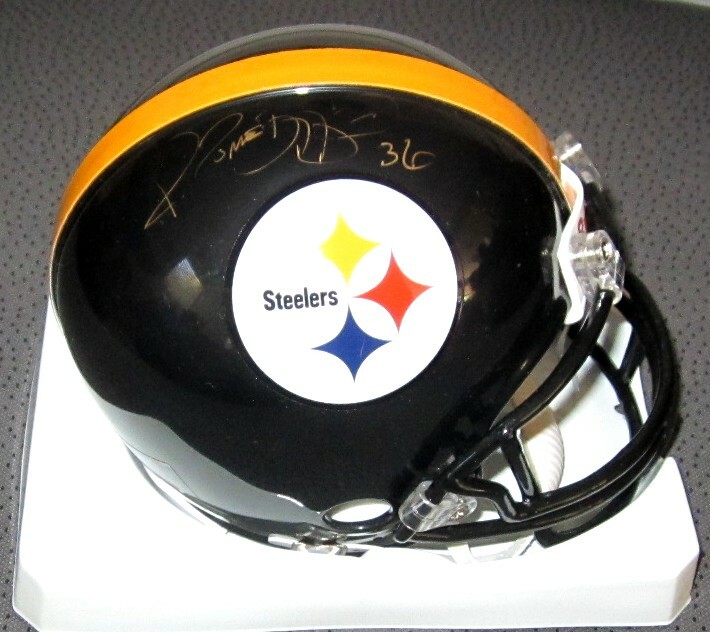 Pittsburgh Steelers Super Bowl 40 Champions commemorative mini helmet (the non-autographed side has a Super Bowl 40 Champions logo decal) autographed in thin gold paint by former superstar running back Jerome Bettis with a beautiful full name signature. 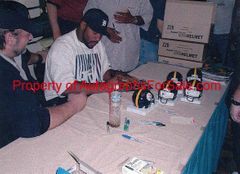 Obtained via private signing, with certificate of authenticity and photo from the signing. ONLY 2 AVAILABLE FOR SALE.